To all of you, whatever you’re celebrating tonight and tomorrow, have a wonderful time with your loved ones, and please, please, please, reach out to those missing theirs. Merry Christmas, you guys. I hope you get what you want, and if not, remember what you already have. Merry Christmas to you and yours and everyone who stops by your blog. Merry Christmas to one and all! May a Keg if Iron guide your future into a new decade, and a sea of sauerkraut fill your gut with fury! Ginny, just wanted you to know that you gave us all an excellent present earlier this year when you returned!! And (sorry, prepare yourself) that’s church!! God bless you and your entire family and may 2010 be full of wonderful things for all of you!! And my holiday wishes to everyone who participates on this blog too!! You folks rock and if I’m having a bad day, all I have to do is read some of your comments and a smile instantly returns to my face!! And you’re not far behind. Merry/happy! to everyone and merry hoppy! to spoon. Merry Christmas to you and your family!! And Merry Christmas to all of you fellow minions!! LOL! Enjoy!! and be safe!! Merry Christmas all and thanks Ginny for making it interesting. And Happy Christmas to all who comment here so entertainingly and help make this site the jewel that it is. Merry Christmas all and a very special thank you to Ginny for all the laughs and smiles she provides on a daily basis! Merry Christmas to all and remember the reason for the season. Jesus, the Son of God, became one of us so He could be our Savior. In Him is eternal life. Remember what we have? We have you, our love Virginia!! What needs else? (as the Bard would say if he were still around). I’ll echo what all have said, Our Virginia brings us together, and together we rock our respective worlds. I’ve said this before, but coming here from another local blog (think sports team associated with ice) is like taking a shower. The civility level here is light-years ahead of over there. And the collective IQ…don’t even ask. No chart exists to show that difference. Merry Christmas, everyone. Here’s hoping 2010 will be even better all around. 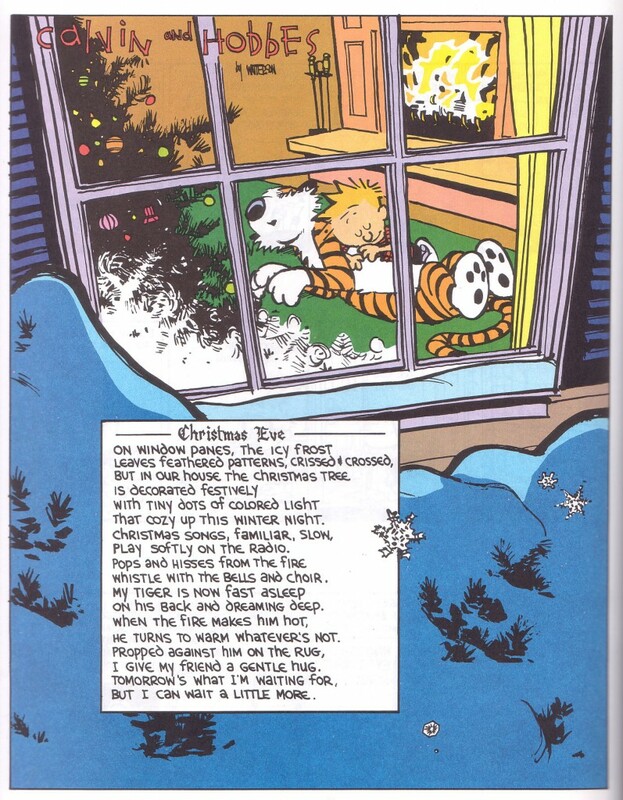 I live Calvin & Hobbes — Merry Christmas Ginny! Merry Christmas right back atcha…to you, your family, friends and to everyone else out there reading this awesome blog! Have a WONDERFUL day! THANK YOU LORD for not making me a billy goat!!!!! Yes, Virginia, there is Santa Claus. Merry Christmas and pretty much what everyone else said. merry christmas Ginny..thanks for making this year filled with humor and love..
Merry Christmas, movie house! Merry Christmas, Emporium! Merry Christmas, you wonderful old Building and Loan! Remember, no man is a failure who has friends. Wishing everyone a joyful, peaceful, blessed Christmas! Ginny – Merry Chistmas to you and your family. And the same to everyone reading here at That’s Church. Merry Christmas to all yinz! Ginny, thanks for all that you’ve done and for keeping the Zima dream alive. In the meantime, don’t forget to drink your Ovaltine. I’m almost certain that there are some burghers who belong to the Allegheny Mountain Rescue Group who are out in Salisbury participating in the search, so please keep the Foxwell family, and all of the searchers in your prayers. My gift came when I found your lifeline back to my hometown. Blessings to you, your family, and all you readers out there. Merry Christmas Ginny — to you and your entire family. So glad you’re back. Merry Christmas Ginny, to you and your entire family! I hope it was a fun-filled morning!! I hope you and yours had a great Christmas!! sorry this is sooo late but, hope your Christmas was merry and that your new year will be happy, healthy and prosperous. Merry Christmas everyone and have a great 2010!